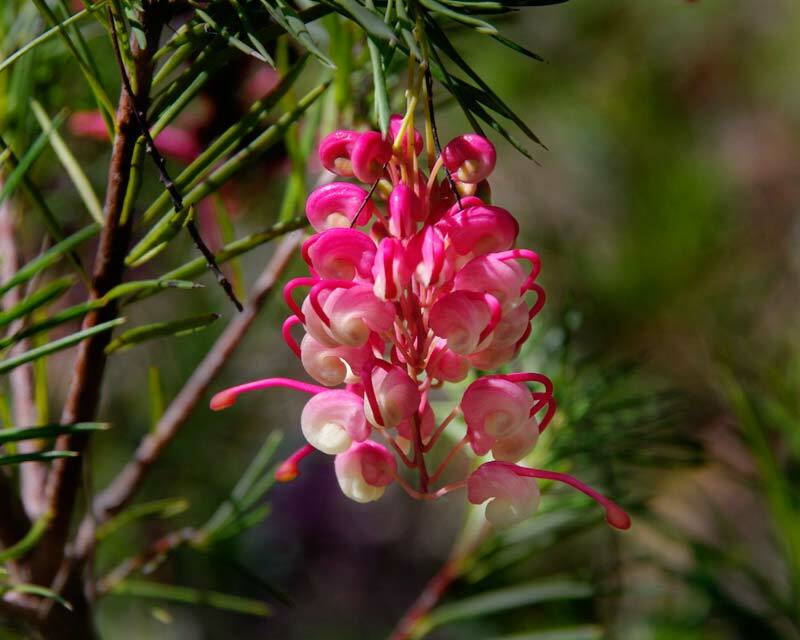 Grevillea rosmarinifolia or Spider Flower is one of the most popular, cultivated Grevilleas providing a dense and bushy evergreen foliage display contrasted by short racemes of very pretty red spidery flowers. The foliage is spiky (narrowly eliptical) are arranged alternately along the stems, similar to Culinary Rosemary (from which it takes its species name), though more pointed leaves. Each leaf is also glossy green on top and a downy grey/green underneath. 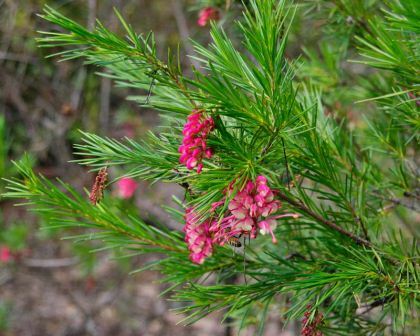 The red to pink flowers are produced in pairs along the branches and are made up of downward curving tubes that are fused together but split at the ends where the colour turns to cream. An swollen ovary is held aloft topped with a prominent style. They are spectacular flowers for their compact size and the key reason for the success of this plant in cultivation. 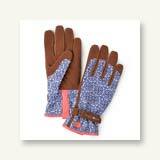 Flowering is usually in spring but a happy plant will produce further flushes of flowers throughout the year. 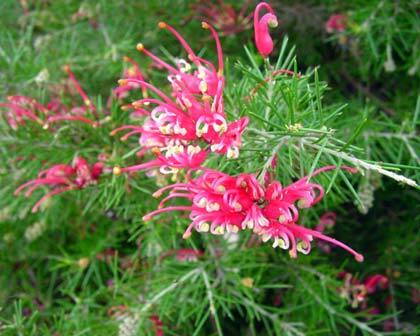 The flowers are full of nectar and attract birds, bees and insects to your garden. They are quite variable in their dimensions of growth - from 0.4 to almost 2.0 in height. Generally they tend towards lower heights and often make a very good, thick groundcover. 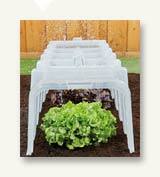 It is moderately frost hardy and drought tolerant. 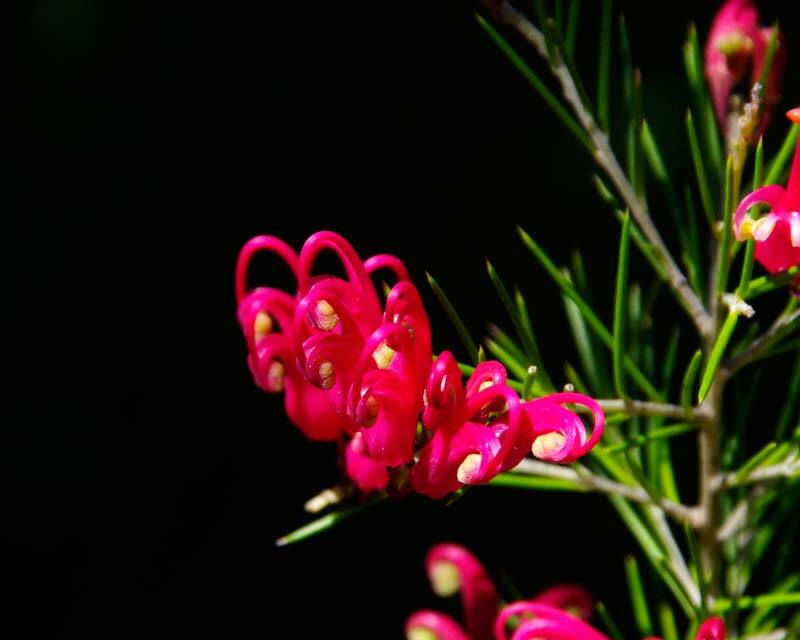 Grow in any garden - just because it looks good and helps support native creatures. Soil: Well drained not too moist, slightly acid soils with lots of leaf matter and mulch around roots. Maintenance: Take care not to disturb the roots. Trim back after flowering as the heads can be messy. Fertilise with blood and bone or a native formulated fertiliser that is low in phosphorous. 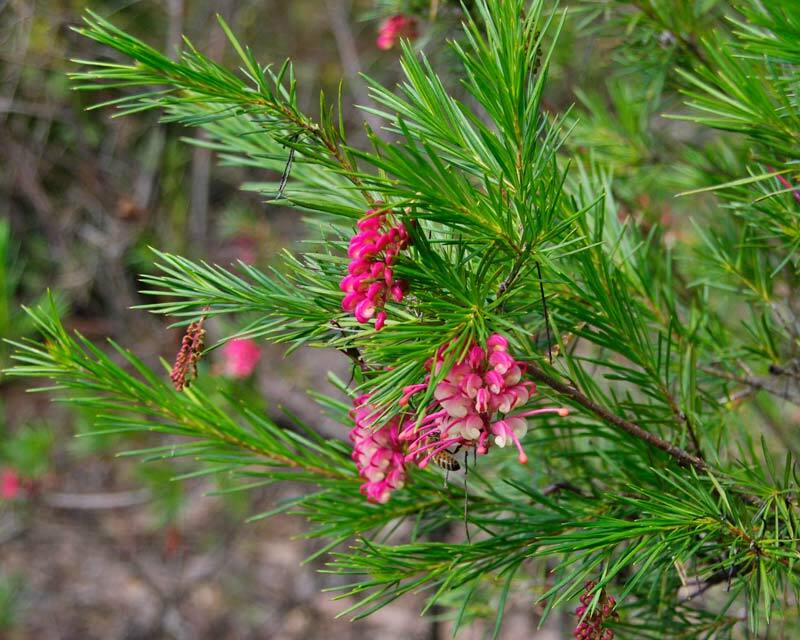 Other Species: 250 species - including the slightly less prickly Jenkinsii. 'Desert Flame' - a small shrub with pink and cream flowers. 'Lara' - a small shrub with grey leaves and pink/cream flowers. 'Limelight' - a medium sized shrub with yellow-green flowers. 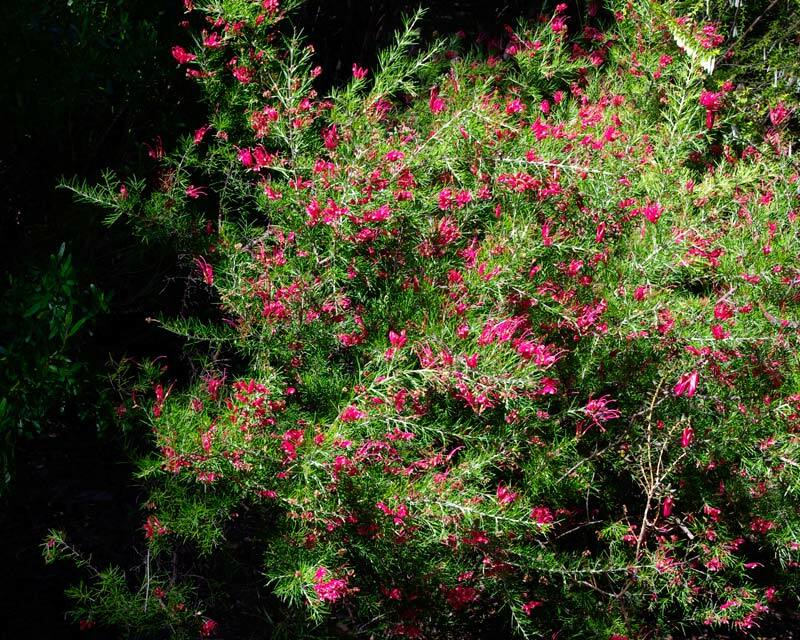 'Rankin Springs' - a medium sized shrub with red and cream flowers. 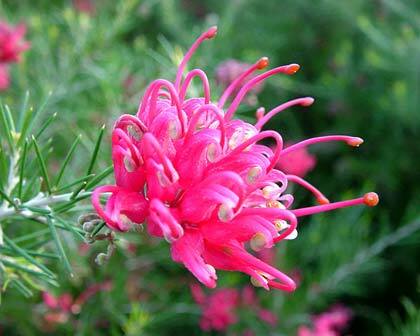 Grevillea rosmarinifolia - A bit spikey but can be trimmed to be neat.